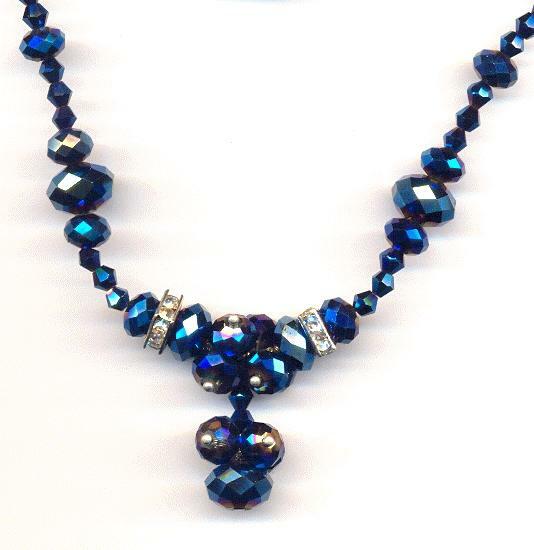 Price listed is for each necklace. 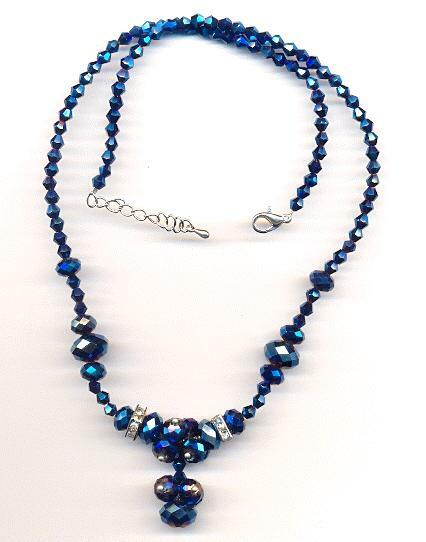 These necklaces measure approximately 20'' long with a 3/4'' drop. 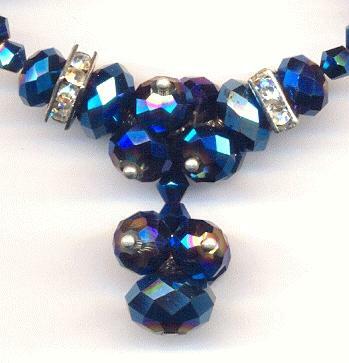 They are made with metallic blue Chinese crystals and silver plated findings with clear rhinestones.